Nobody really likes taxes, and small business owners are no exception. The U.S. tax system is an obstacle to people setting up their own businesses according to 66% of small business owners responding to the 2014 Hiscox DNA of an Entrepreneur survey. Lower taxes were also cited as the number one change government could make to improve the marketplace for small businesses in the same survey. Small business owners dislike taxes as much as the rest of us, but they can’t get around paying them any easier than anyone else. Here are three moves small business owners can use to help make tax time a little bit better this year. Taxes are one of the key areas where small business owners can benefit from outsourcing non core activities. Unless you’re a tax professional, doing your own taxes is just one of the many tasks distracting you from running and growing your business. Small business owners can help themselves a lot by outsourcing their taxes to the professionals. Not only is a tax professional more likely to find the right deductions and get your taxes filed properly and on time, you’ll also buy yourself more time to do your day job. Of course there’s a cost to this, but once you add up the time and stress involved with doing it yourself, this will likely be an expense you want to take on (and then deduct!). Just make sure your tax preparer has insurance coverage so you’re not on the hook for any mistakes they might make. 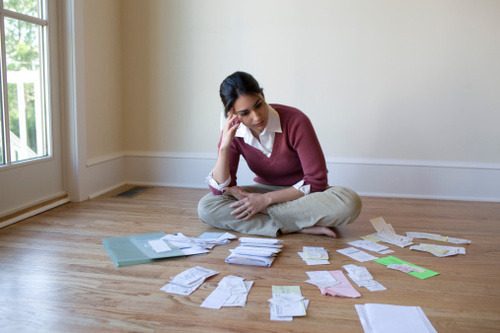 You need to make sure you’re accounting for all of your business expenses throughout the year when filing your taxes. Even more important, you don’t want to get audited, which is where professional help is critical. To maximize the value of your tax return, you need to account for all of your business related expenses. If you‘re out meeting with clients or prospects, you can deduct a portion of any business meals and your costs to get to the meetings. Do you use your car primarily for your business? You might want to consider making it your business vehicle so you can deduct loan payments, insurance and other business-related vehicle expenses like mileage to and from meetings. You can even deduct your small business insurance premiums. Keeping track of your business expenses throughout the year will make the process even easier next time around. And, always rely on your tax professional to make the final call on what’s a proper deduction. Retirement probably either feels very far off, too boring or too minor a consideration for most hard working small business owners to spend time on right now. But setting money aside in a retirement account can provide some useful tax benefits today. Even if you don’t see yourself spending your days on the golf course and hitting up the 4:30 p.m. early-bird special any time soon, retirement accounts can help lower your taxes and set some money aside at the same time. If you have employees, you can provide them a non-taxable benefit through contributions to their 401(k) account or company retirement plan in lieu of some increased compensation. There’s no reason you and your employees shouldn’t have the same security and ability to plan for the future that larger corporations offer. If you don’t already have a plan in place, get one set up so it can help you with next year’s taxes. Small business taxes aren’t going away, but taking the proper steps during the year and when you file can help reduce your burden and make it easier to build profits and grow your business. Hunter Hoffmann is Head of US Communications at Hiscox Small Business Insurance and is responsible for media relations, social media, internal communications, content marketing and executive messaging. Hunter lives in New York City with his wife and two sons – Walker and Otis. In his spare time, he moonlights as Chief Marketing Officer for Junior’s Fresh, a fresh baby and toddler food delivery service and pre-school meal provider in New York City founded by his wife, Michelle.